I’m breaking away from my typical social media posts to talk about my other passion: Red Sox baseball. I’m not one to push the panic button this early in the season but man, the Sox look bad so far this season. This afternoon I boarded a plan to New York knowing that that Sox had dropped 5 in a row to the Rays and sit near the bottom of the AL East. I know, we are only 13 games into the season and they are only 6 games back, but this weekend was tough to watch. It just feels like nothing is clicking for the them at all so far this year. I’ll hold off on officially pushing the panic button until later in the season but so far things are not looking optimistic. 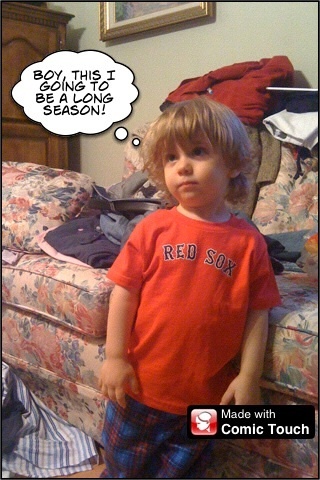 I think this picture sums up the collective feeling of Red Sox nation after a depressing weekend of baseball.